I was in the attic this morning, searching for a drawing I made in 1964. I didn’t find the drawing but I discovered several long-lost items including two scrapbooks, a large framed family portrait, and a functional paper cutter. I hauled the items to the living room, where they will be set aside to make room for Christmas decorations and will soon be consigned to the attic again. Such is the cycle of life. But I also found two minor presidential artifacts: a letter and an autographed picture from Harry Truman dated August 6, 1964; and an autographed White House portrait of Jimmy Carter, probably signed in 1977 or 1978. I have written about my correspondence with both presidents before (See http://bit.ly/12nzPIm and http://bit.ly/1iEmxeL), but I thought these particular items had been lost forever and I was delighted to find them. 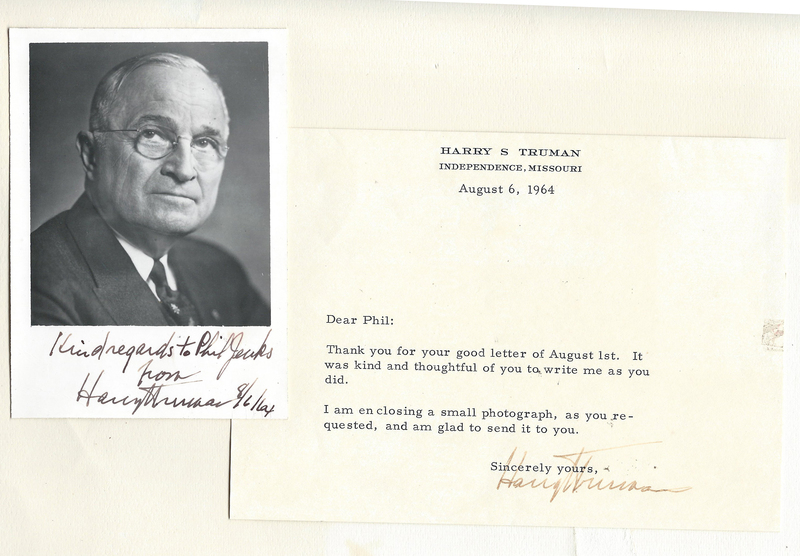 The photograph of Truman, signed more than two years after my earlier correspondence with him and eight years before his death in 1972, was personalized with my name. The “P” appears to have been reinforced after a hesitant beginning, leading me to wonder if the 80-year-old ex-president was squinting through his thick lenses to read my name. Whatever was happening — and it is impossible to understate the actual historical significance — it was a very nice touch by a retired politician who was no longer seeking votes. The picture of Jimmy Carter was a gift from a Baptist colleague, the Rev. Mary Ann Forehand, who was working for the White House correspondence office in the Old Executive Office Building when I invited her to join the American Baptist communication staff. She used her insider influence to request autographed pictures of the president, and I was the lucky recipient of one of them. This was the original official portrait of J.C. when he assumed office in 1977. 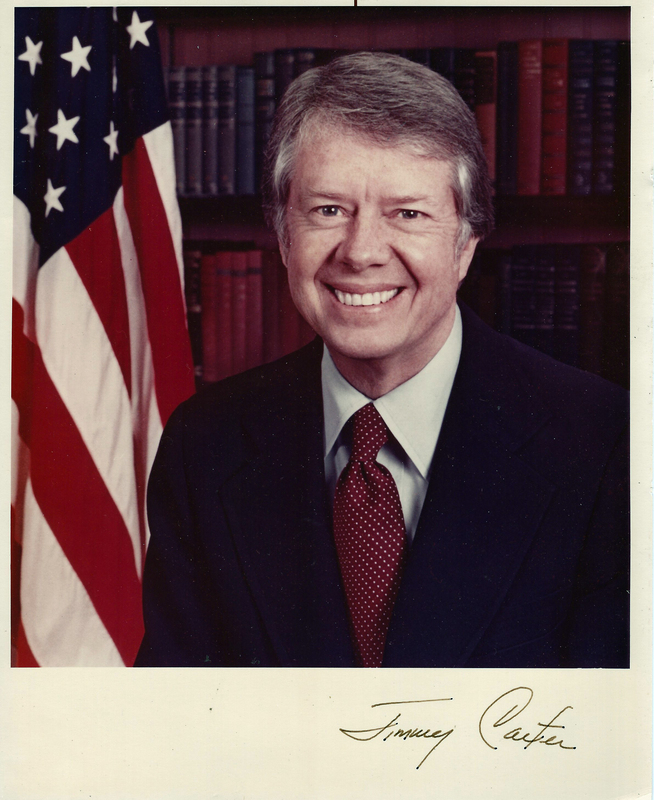 As Carter’s single term began to encounter long stretches of political turbulence, some members of his staff whispered the smiling portrait looked too sappy for the leader of the free world and it was updated with a more presidential pose. But I am delighted that, after years in the attic, this one has re-emerged into the light of day. I have, alas, lost touch with Mary Ann.